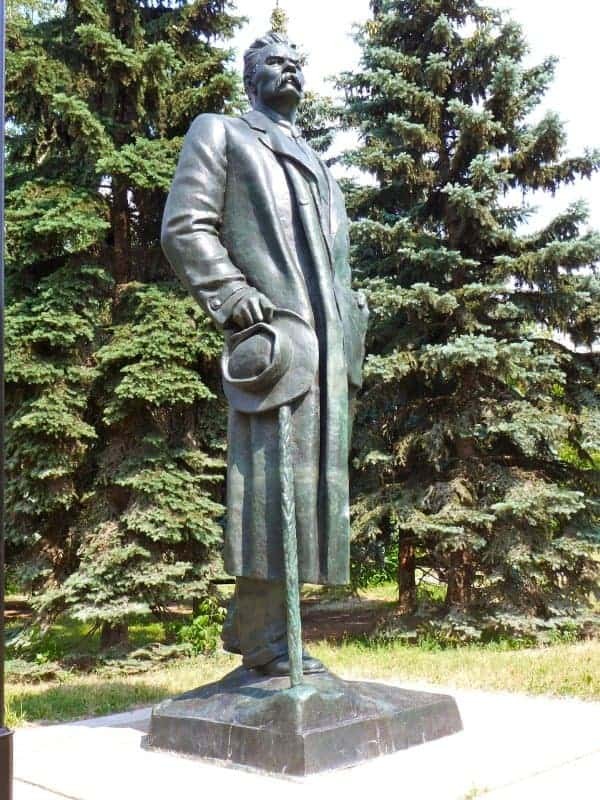 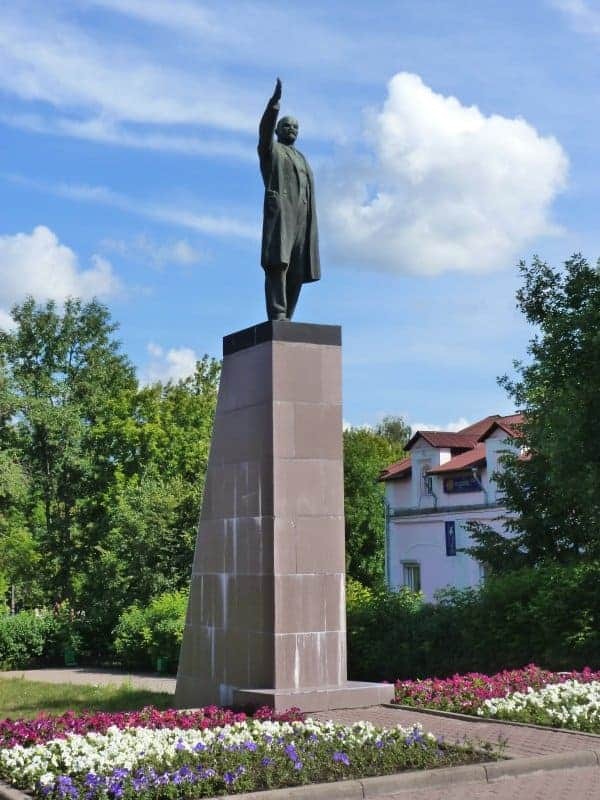 I’m not sure why I was surprised by a proposal I read about recently that statues of Lenin in public spaces in Russia should be scrapped or, if of artistic merit, moved to museums or special monument parks (such as the one next to the New Tretyakov Gallery in Moscow). 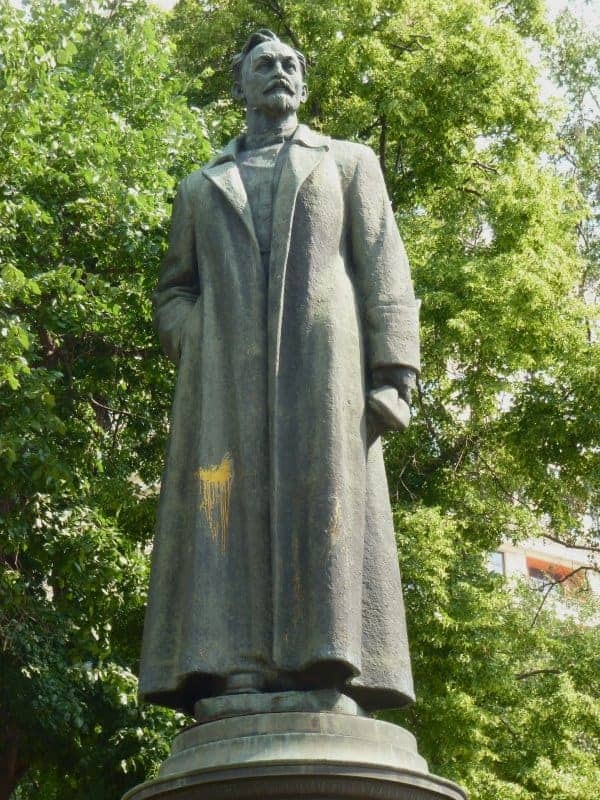 The proposer of this action describes Lenin as an ‘odious figure’. 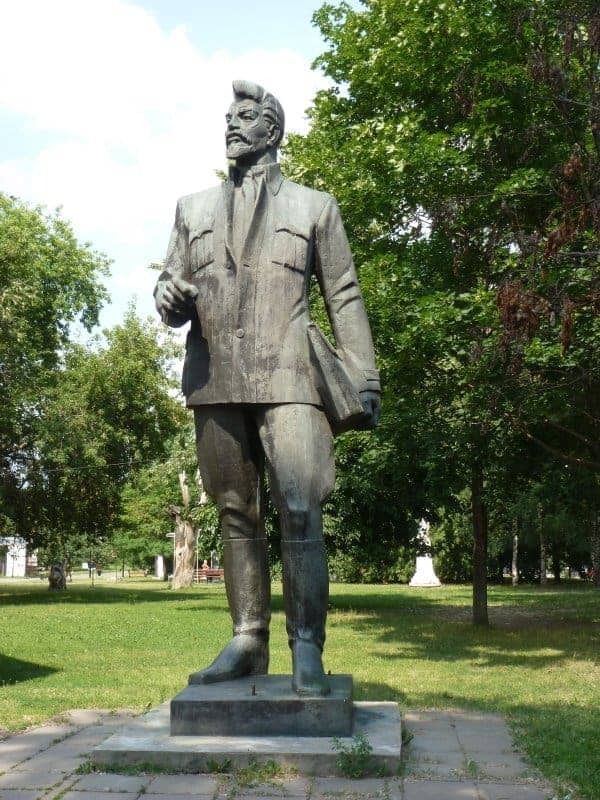 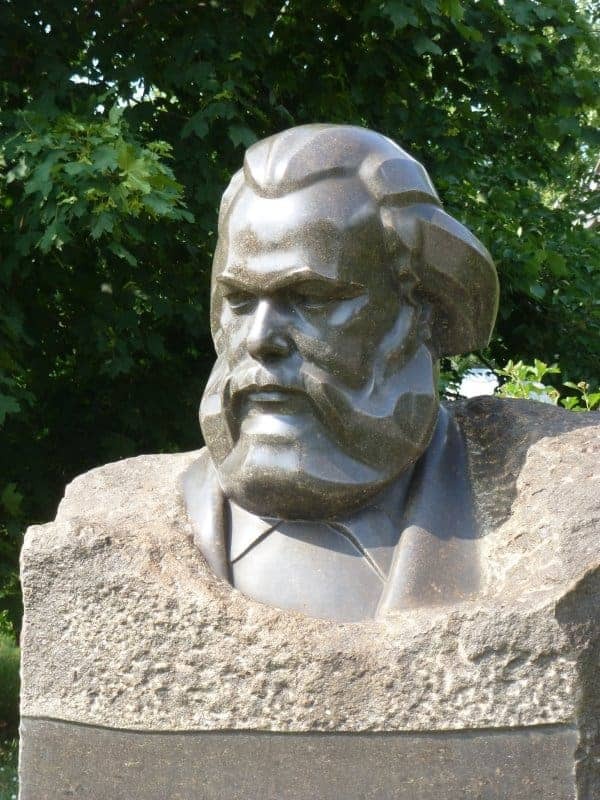 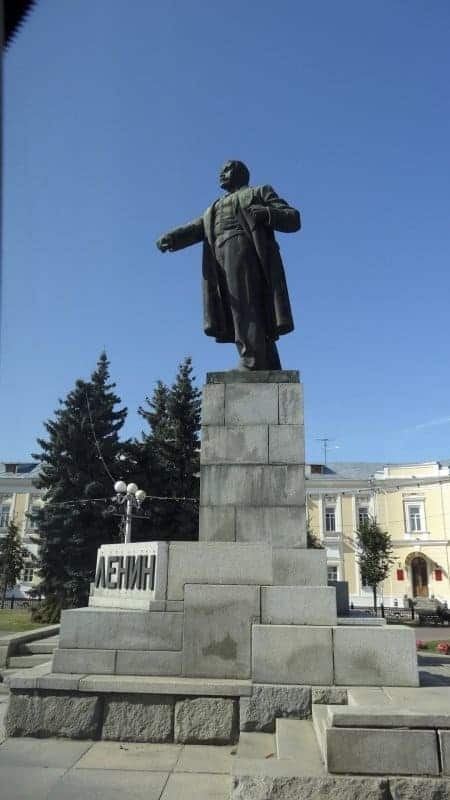 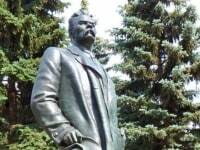 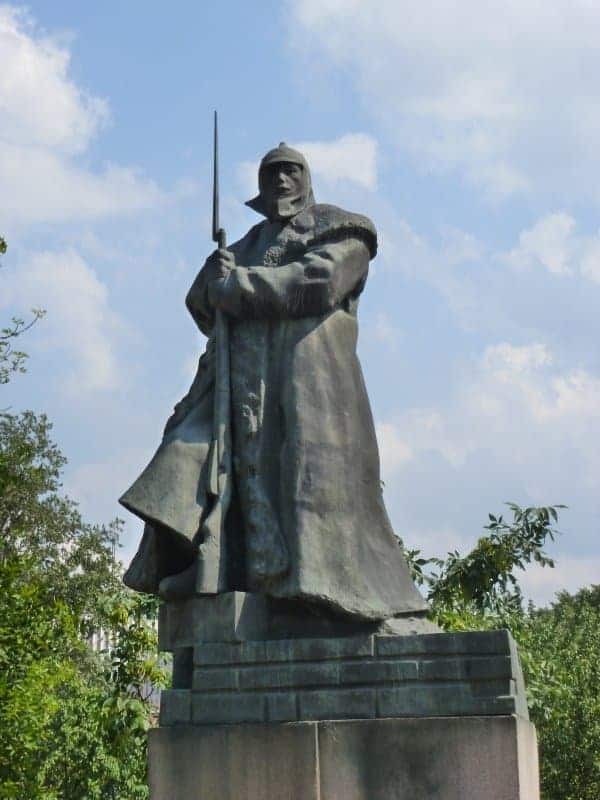 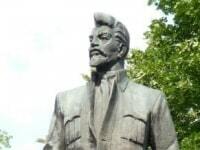 I’m sure many Russians, especially the younger ones, would have no problem in such statues being removed from their town squares, considering Lenin irrelevant, but is he really thought of as ‘odious’, in the way that, say, Stalin and Dzerzhinsky are? 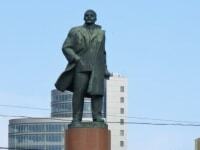 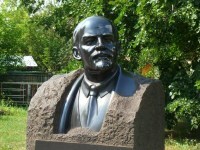 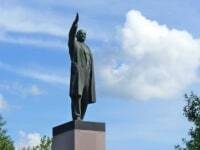 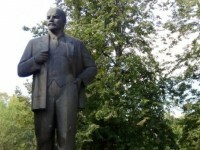 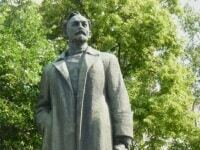 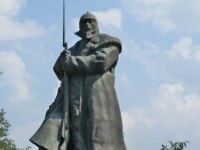 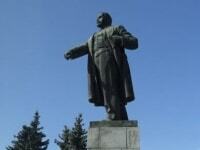 There must be thousands of statues of Lenin across Russia and the countries of the former Soviet Union. 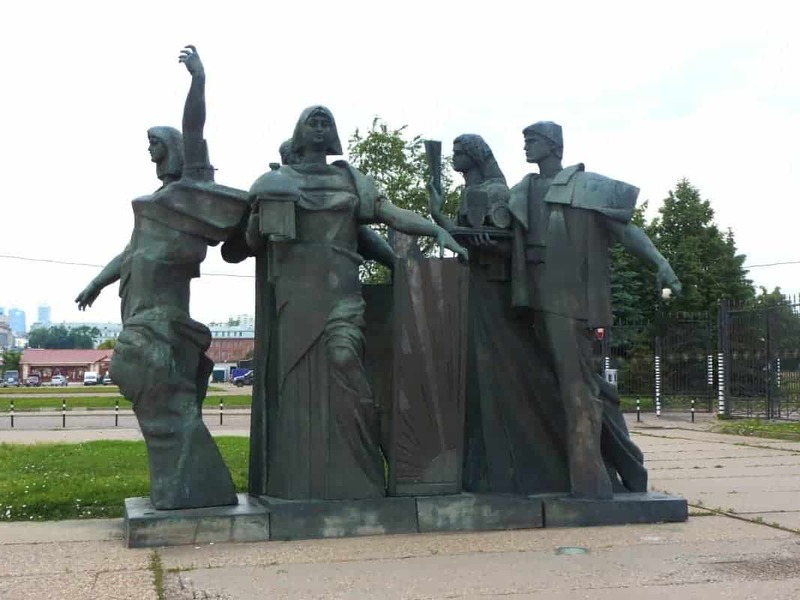 Here are just a few I’ve seen myself. 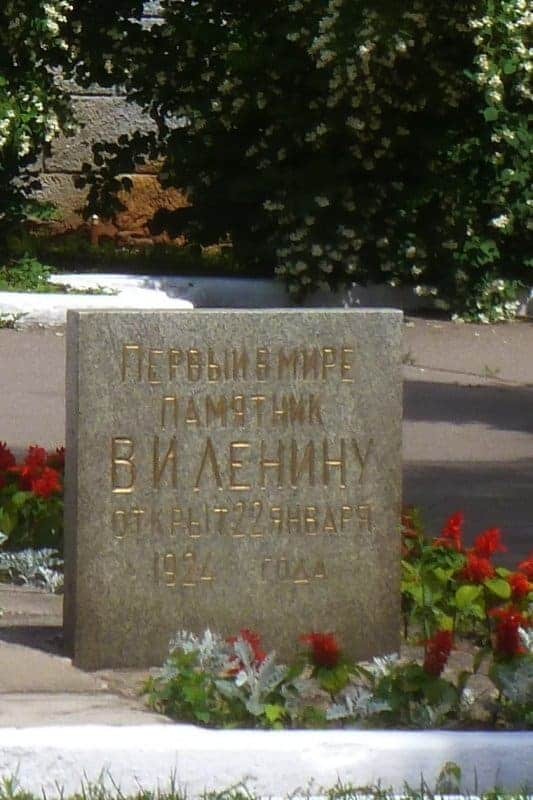 The text on the stone next to the statue reads: ‘The first monument in the world to V I Lenin, unveiled 22 January 1924′. 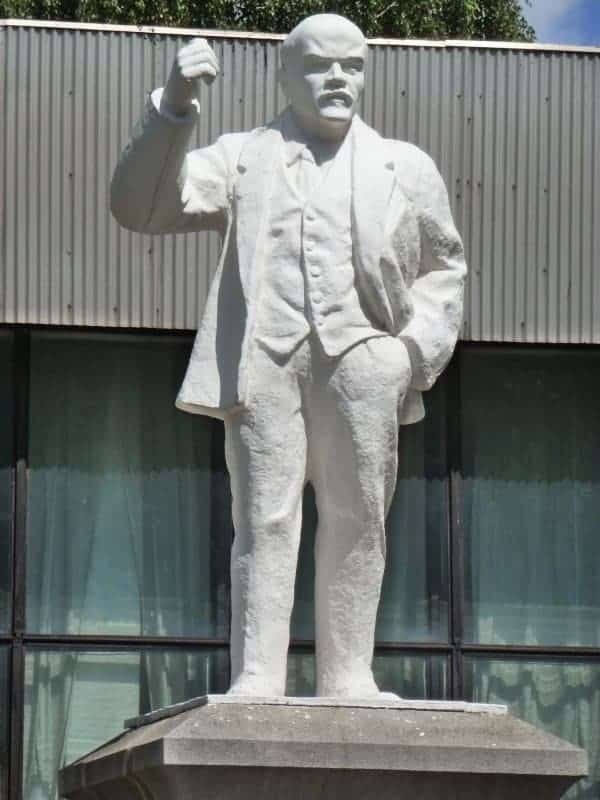 The story goes that some workers from the town attended a meeting with Lenin and were so fired up with enthusiasm that the first thing they did on their return home was to create this statue. 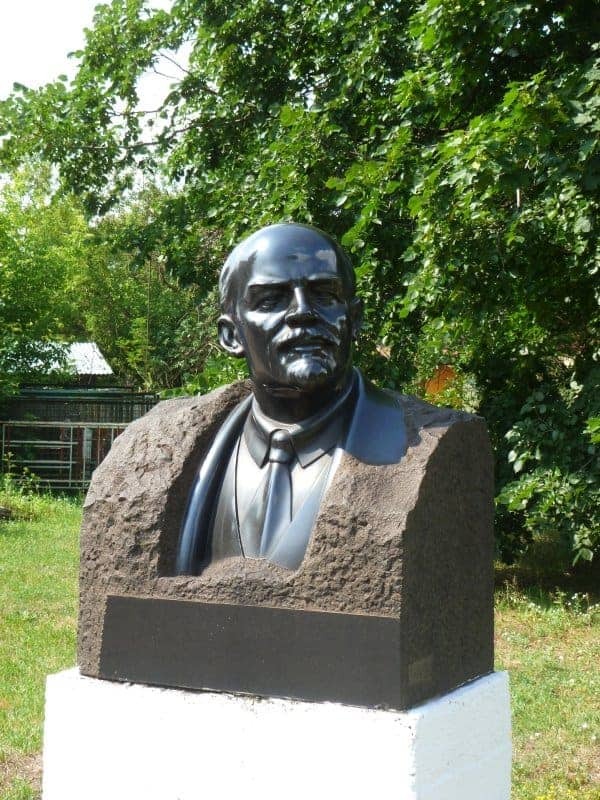 Either they made it themselves or an amateur sculptor came forward to do it – I can’t quite remember the details. 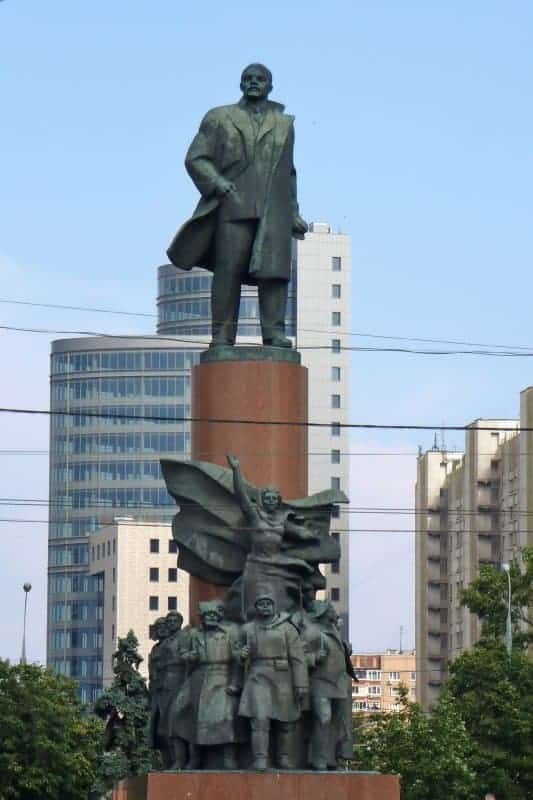 Which explains why it isn’t very good! 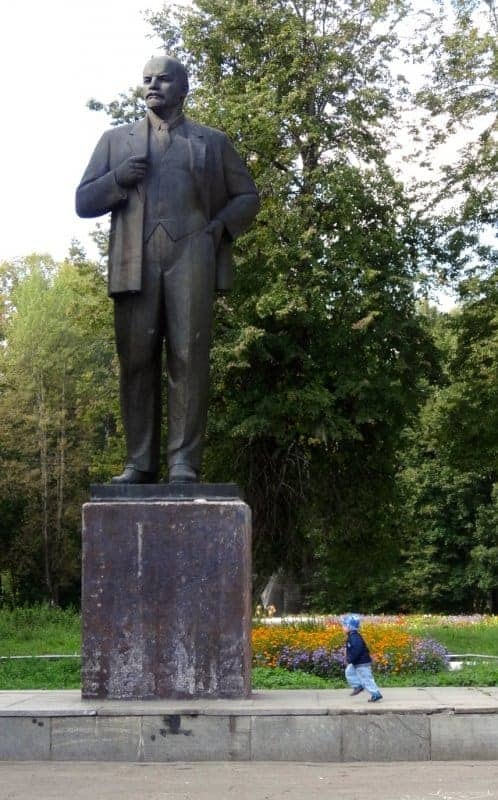 There is certainly something odd about the proportions of the figure. 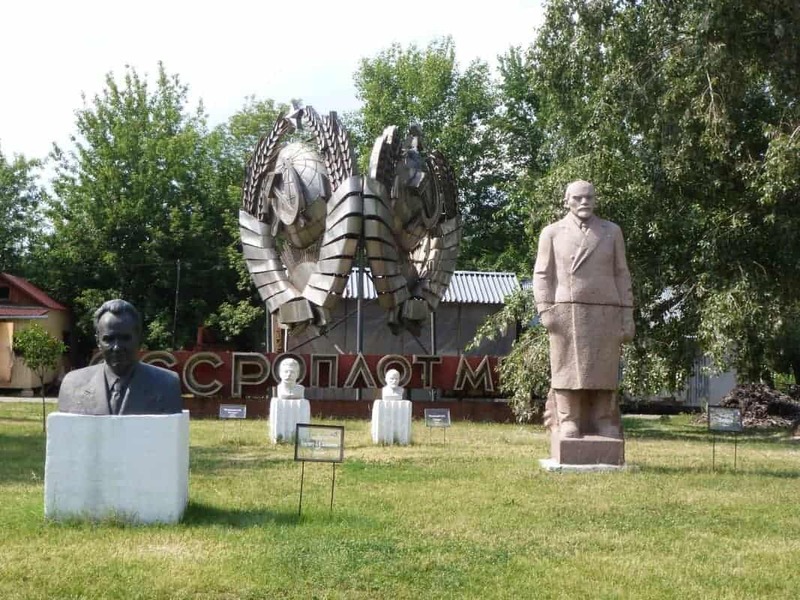 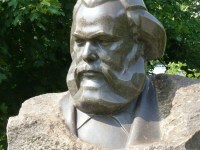 The Moscow sculpture park, officially known as Muzeon Park of Arts, contains an eclectic mixture of modern pieces together with the statues of discredited Communist notables.